Another of Scotland’s silent distilleries could be given a new lease of life after the Scottish government launched an appeal for third parties to develop the site. Dallas Dhu distillery in Forres, Moray, closed in 1983 but has since been preserved as a distillery museum by government agency Historic Environment Scotland (HES). Now HES is seeking investment and development ideas from interested individuals or companies, with the possibility of recommencing distilling. 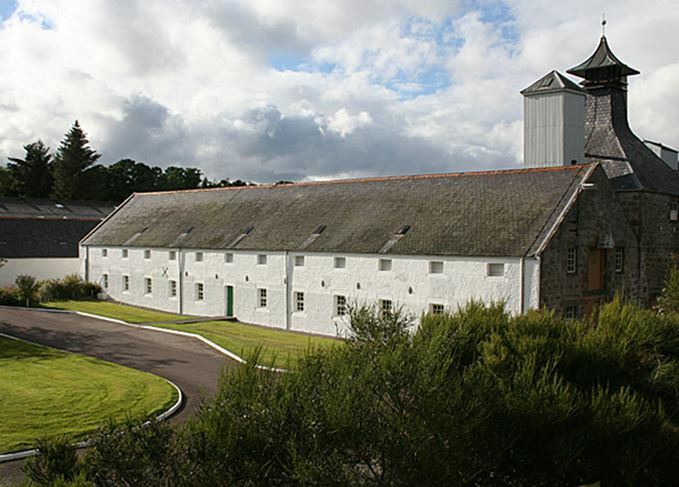 Should Dallas Dhu restart whisky production, it will become the fourth silent distillery to reopen in recent years, following the redevelopment of Port Ellen, Brora and Rosebank. A spokesperson for Historic Environment Scotland said: ‘Given the unique nature of the site, we are keen at this stage not to limit the scope of potential interest, so interested parties can apply either on their own, or as part of a group, as well as submitting ideas for different parts of the site. Areas for development could include the storage of whisky casks in Dallas Dhu’s historic dunnage warehouse, an extension to the visitor experience, the introduction of a whisky academy, as well as the potential to distil whisky, gin, or rum on-site. Part of the Malt Whisky Trail, Dallas Dhu was built in 1898 by Victorian entrepreneur Alexander Edward, who also erected the Aultmore, Craigellachie and Benromach distilleries. Shortly after opening, Dallas Dhu was sold onto a blending firm and eventually wound up in the ownership of Distillers Company Ltd, the precursor to Diageo. The distillery experienced long periods of closure during the early 1900s, staying closed for almost a decade following a serious fire in 1939. During the whisky downturn of the 1980s, Dallas Dhu was eventually closed and sold to Historic Environment Scotland in 1986. A spokesperson for Historic Environment Scotland added that the distillery is not expected to be sold in its entirety. ‘It is not anticipated that there will be any changes to the guardianship arrangement but rather we are keen to work with partners to explore avenues to maximise the potential of the site, building on its distinct heritage and origins,’ they said. Richard Lochhead MSP, who campaigned to persuade HES to develop the site, said the proposals are ‘good news at long last’. ‘Dallas Dhu is spectacular and unique distillery and is also Scotland’s only historic distillery with the potential to restart production of a famous whisky at a time when the industry is booming,’ he said. ‘Not only that but there is scope for the site to play a wider role in the Scotch whisky sector and local tourism. ‘It is crying out for investment and is overflowing with opportunity. Currently visitors can explore the site and learn more about how Scotch whisky was made in the 1900s. The Speyside attraction intends to 'awaken the sleeping giant' of whisky tourism.